Thank you dear friends in my blogging community. The love and caring that you sent and continue to send has been extraordinary. The notes that you sent were much needed bright spots on dark days. I hope to open the Senior Salon again in September and I am thinking that I will feature it on Mondays to give more time to read each other’s news and for you all to post your extraordinarily creative work. I’m so happy to see your post, Bernadette! Also good to know that you’re coming back. Sharon and I would like to do the Thankfulness post, but neither one is able to host it at this time. I’ll be a new grandma on September 19! Oh, that is such wonderful news. Having a grandchild is one of the most special experiences in the world. You fall head over heels in love at first sight. I believe that, thank you Bernadette. You’re loved by so many. They will be thrilled to have you come back to blog! I am really pleased to see a post from you, Bernadette. Do you know that one of your friend’s, I believe her name is Cynthia, wrote me a beautiful note. Such a special thing to do. But, you are so special, that I shouldn’t be surprised that you collect such wonderful friends. Grace under pressure, with an abundance of gratitude. Nice to see you back, Bernadette. So happy to hear Senior Salon will be back, because that means you are able to get back to some of your usual activities midst the blinding grief. I love the Charlie Brown quote. It is comforting. Thinking of you. I am sorry for your loss. I cannot begin to understand how hard it must be. Just know we are here. I was just thinking about you, Bernadette. I missed your post in June. I am so sorry for your loss. I will keep you and your family in my prayers. I look forward to seeing you again soon. Welcome back, Bernadette. I am glad you are considering reopening the Senior Salon. Sending blessing and hugs your way. I, too, am sorry for your loss, Bernadette. I’ve missed you and the Salon and will be glad to have you both back. You have been on my mind lately, so I’m delighted to hear from you. Welcome back, and lots of hugs. So very sorry for your loss. Looking forward to seeing you back to blogging. Writing saved my life after i lost my young daughter to a DWI vehicular homicide. Writing keeps me sane. Give it a try. So glad to hear from you again, hope all is better day by day!! I did not see it Maria but I am so touched that you did that and will go back and find it. Bless you. Good to hear from you, Bernadette! I was happy to see your post pop up on my screen today. My thoughts have been with you, Bernadette. A beautiful post. 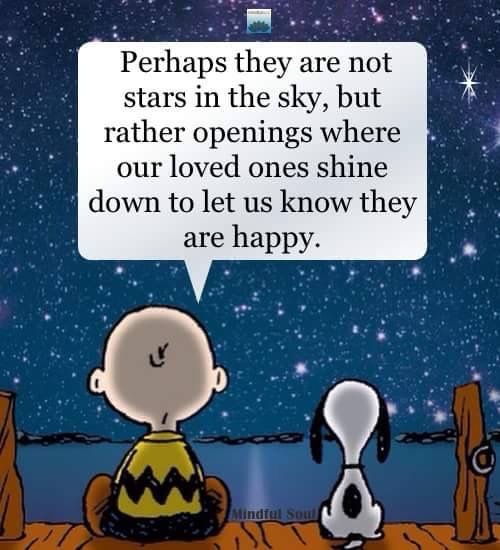 Wishing you little openings in the sky. Hello Bernadette, good to hear that you will be back in September. I have had quite a long break from blogging myself for one reason and another including a tragic death in my family, so I hope to be back in September as well. I have been missing your posts because I have been trying to build up my following on Twitter and Pinterest by sharing the posts of my over 60s and WordPress friends. Thinking I might redo the wordpress Blogging Uni course to get back into it! Maddi, So good to hear from you. I am reopening the Senior Salon on Monday, September 11. Hopefully I will get a good response and this will give you a lot of posts to use. Send me your URL when you get started again so that I can follow you via Email notification.